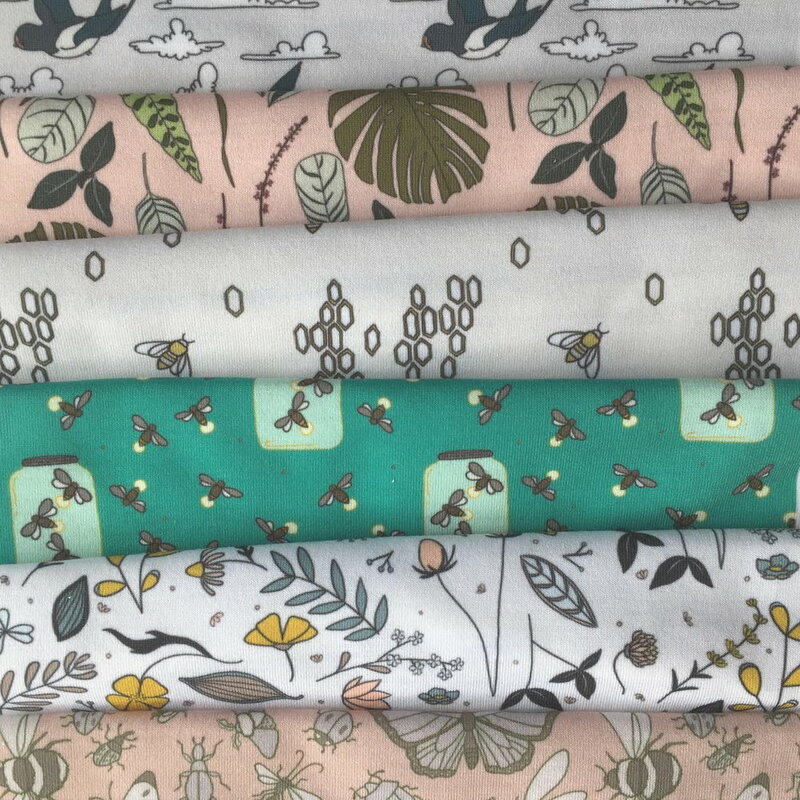 Introducing the newest fabric collections by Carrie Tomaschko of Sweet Melody Designs! I'm so excited to be able to show you everything I've been working on lately. There are three new collections now available in my shop on Spoonflower and I hope you'll check it out! 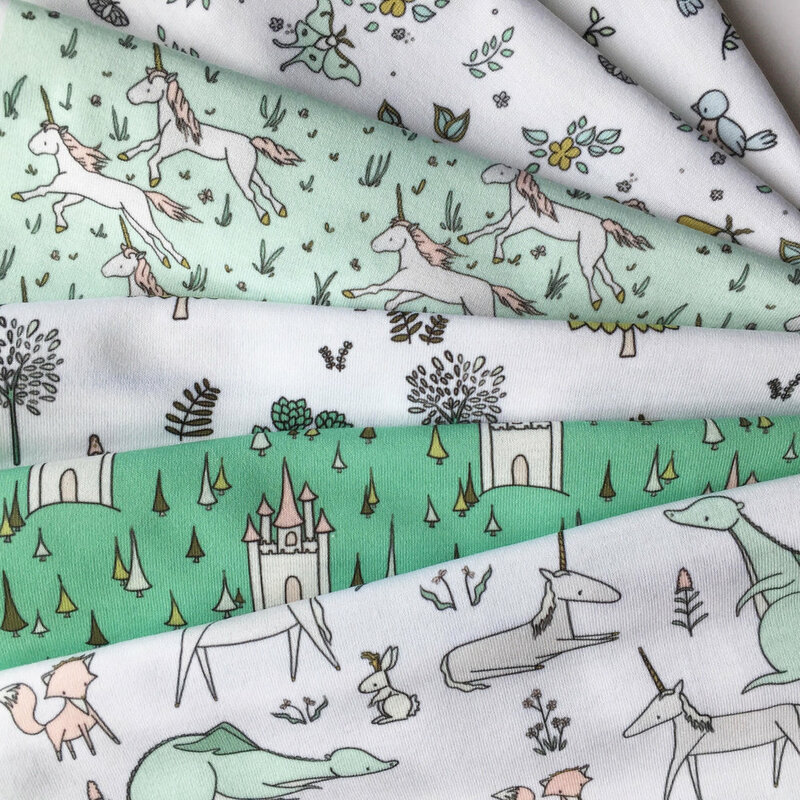 Enchanted Collection: Unicorns, castles, dragons, forests, birds, flowers, royal foxes, and jackalopes make up this magical collection. Sail Away Collection: Come away with me on an ocean adventure. 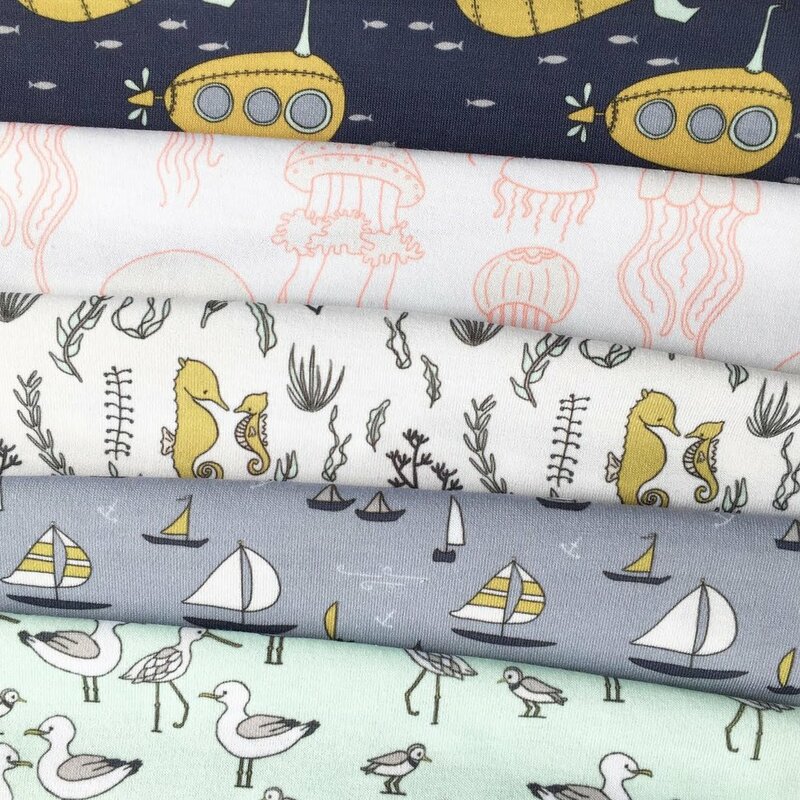 This collection has seagulls and submarines, seahorses and seaweed, sailboats, jellyfish, and fish. Beauty In Nature Collection: There is such beauty in the world around us, from flowers and plants, to insects and birds, this collection showcases the stunning details in the nature around us. I'm so excited to be able to offer you these designs on Spoonflower because you can order fabric, wallpaper, and gift wrap as well as some ready-made home products like throw pillows and tea towels through their partner companies! Hope you enjoy the new collections!!! I'd love to hear what you think!